﻿ It’s time for the bigger question- How do we make the system ready for the developments? 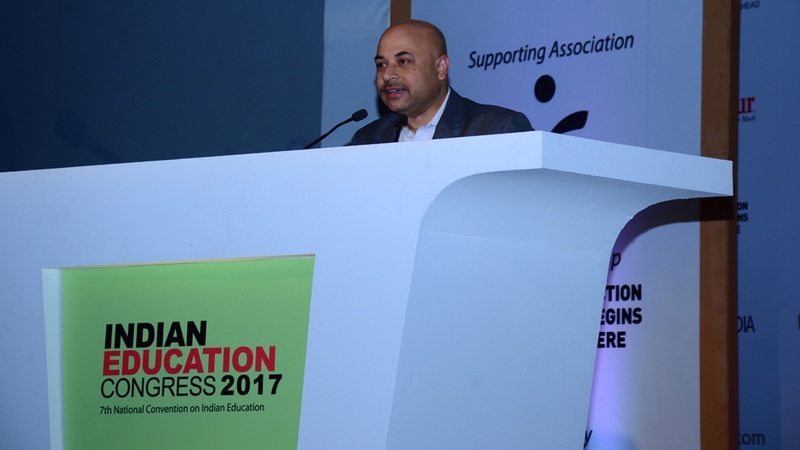 Being present at the Indian Education Congress 2017, Deba Shankar Mukhopadhyay, CEO, Zee Learn Ltd commenced with the plan to address few questions and their solutions on the developing Education sector. How will the Government help us in reshaping the Education sector? In the past few years Indian education sector has witnessed a series of changes, which resulted in a significant increase in market share of the education industry. With economic growth and enhanced technology, it has become necessary to develop the Indian education sector. Funds are a major concern in the market to meet this demand. The Government of India has taken many initiatives to attract investments from non-resident Indians (NRIs) for the development of education infrastructure. The Government has also opened the doors for foreign universities by passing Foreign Educational Institution (Regulation of Entry and Operation) Bill, which will help in bringing foreign investments in education in India and shaping the education industry structure specially pertaining to higher education. He further added,” As we hope in the Great Republic marched glory and work in different Educational sectors to make it happen,, we realize that no one solution fits all. Innovation is an ever wanting useful phenomenon. It is extremely useful and helpful, but there are people who impeach education without investing massively. Infrastructure, a key for education, will be the biggest development ever done in the Education system worldwide. There is a great excitement about various possibilities in this regard. We easily get adapted to new technology and processes. There are discussions about managing schools, interactive white boards, enriched content in classroom and tablets for personalized learning. The days are early for augmented reality and virtual reality programs. How do we make new age schools, a reality with personalized Education? Mr. Mukhopadhyay in his speech, mentioned, “I come here from an organization that works with around 2 lakh pre schools and school children. Our regional experiences have humbled us about the enormity of the task what the Indian Education system and the Education face. I will therefore, try not to add great existing body of solutions and briefly share what has worked for us. We all come with an awareness of the challenges at various levels of the Education system in our country. Access in the primary sector are seen in the gross enrolment rituals has been encouraging. But the rest of the levels display challenges till now. There is no doubt that we need investments to build infrastructure and human resources who can effectively use the Infrastructure in the teaching and learning process. We all want innovation but each innovation has to be useful. Technology is extremely useful, helpful but if we look at techie minds, they impeach education without investing massively on the same. “My personal experience has shown that Technology will remain a show piece in the classroom, an opportunity of change”.